Asend Direct specializes in high quality shared direct mail and co-op direct mail solutions. Revolutionize your brand with shared direct mail marketing. Asend Direct revolutionizes shared direct mail advertising. Get compelling, high-quality, high-response exposure at low cost. Our team has built and managed thousands of performance-driven direct mail programs across a variety of industries. 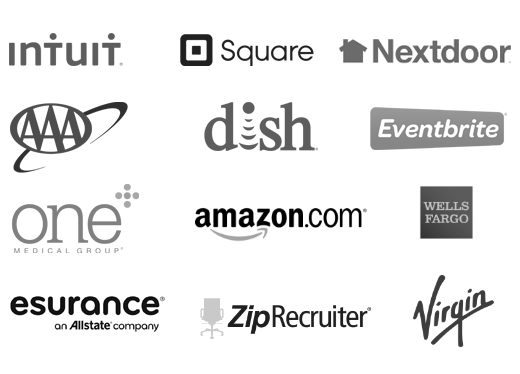 Here are just some of the companies our team members have worked with. "We’d tried direct mail in the past, but it never seemed to work. We almost gave up on it until we worked with the team members at Asend. They unlocked direct mail as an acquisition channel." Learn how to cost effectively grow customers and revenue with shared direct mail. © 2016 Asend Direct, Inc. All rights reserved.